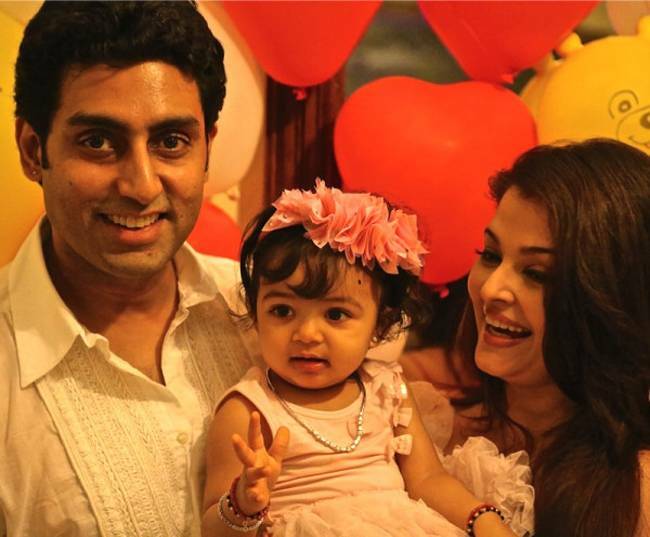 Family picture of Aaradhya Bachchan with father Abhishek and mother Aishwarya Rai on her First Birthday on 16 November, 2012. 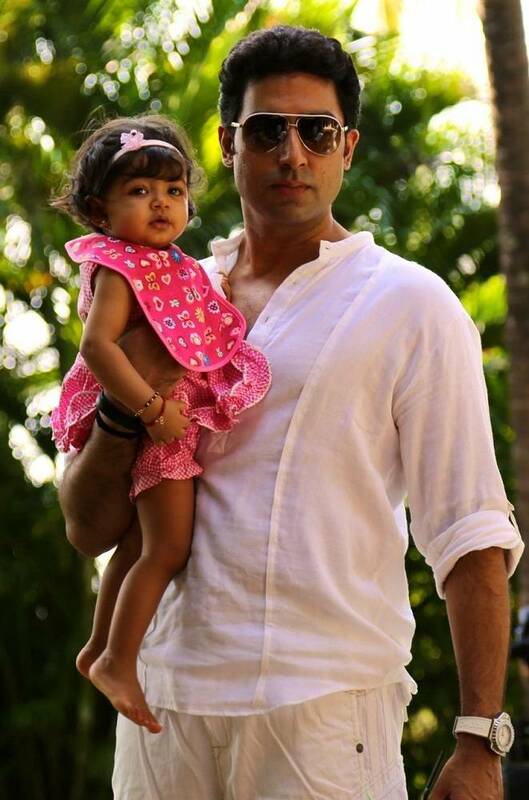 Aradhya has started resembling her mother Aishwarya. 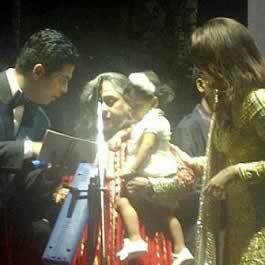 In these pictures of Aaradhya Bachchan with her mother, Aishwarya Rai, she is between 16 and 17 months old. Images taken in March and April, 2013. 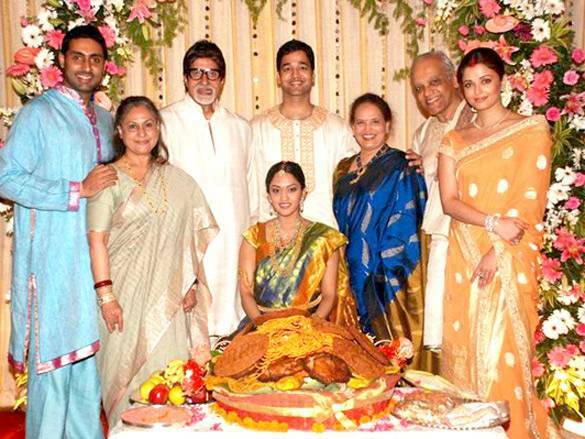 Amitabh Bachchan’s grand daughter and Abhishek and Aishwarya’s daughter’s, “Aaradhya Bachchan“, was born on November 16, 2011. 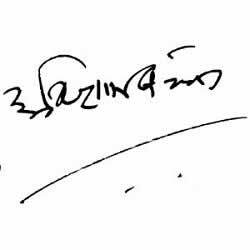 The meaning of “Aaradhya” is “Worth Worshiping“. 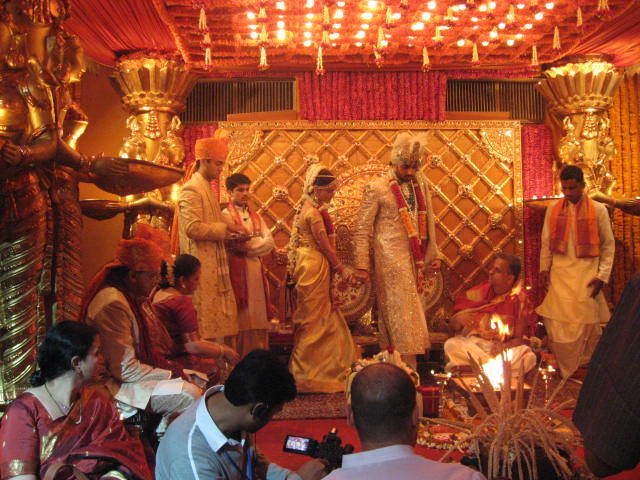 In Hinduism, Aradhya is a Brahman community or caste which has followers mainly from Karnataka. 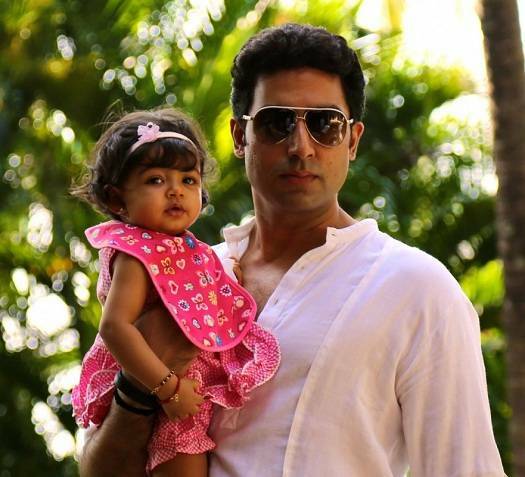 Aradhya’s belong to the Panchacharyas sect which worships Lord Shiva. 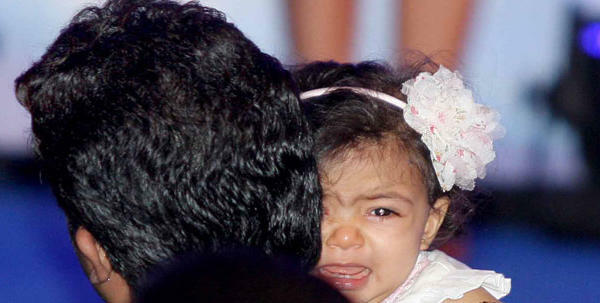 These pictures of Aaradhya Bachchan were taken when she was 15 months old. 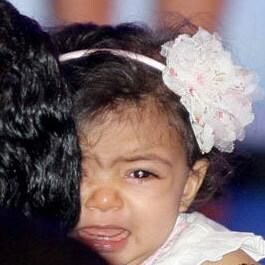 These photos of Aaradhya and her parents were taken on Valentine’s Day (Feb 14, 2013) in Bhopal, where her grandfather, Amitabh, was shooting for Prakash Jha’s “Satyagraha”. 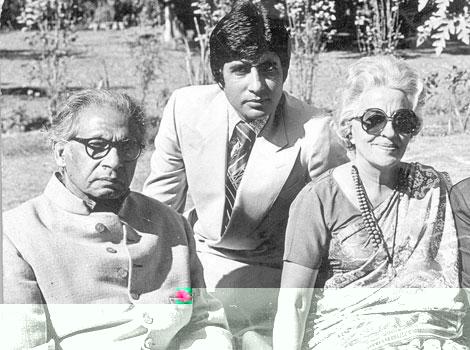 The below photos are of Amitabh Bachchan’s mother-in-law, Indira Bhaduri, who lives in Bhopal. 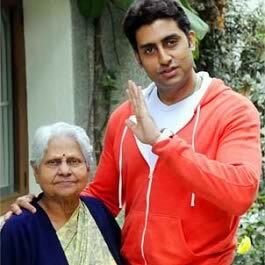 She is Jaya Bachchan’s mother, Abhishek’s grandmother and Aaradhya’s great grandmother. 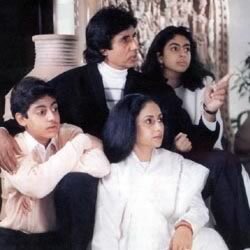 Jaya Bachchan is from Bhopal. 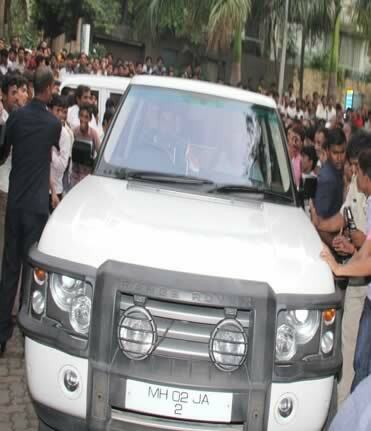 She studied at St. Joseph’s Convent School, Bhopal. These are pictures of Aishwarya Rai and Abhishek Bachchan with their daughter Aaradhya Bachchan. 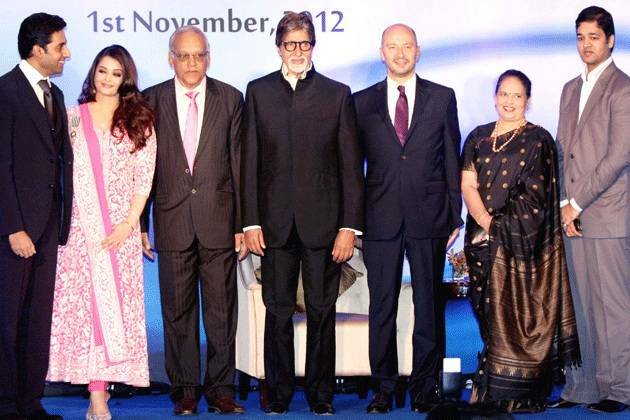 On 1 November, 2012, Aishwarya Rai Bachchan was awarded France’s second highest civilian award, “Knight of the Order of Arts and Letters“, for her contribution to cinema. 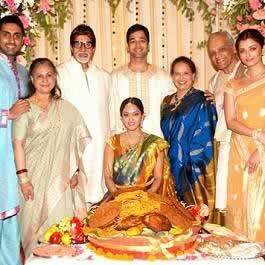 Nov 1 was also Aishwarya’s 39th birthday. 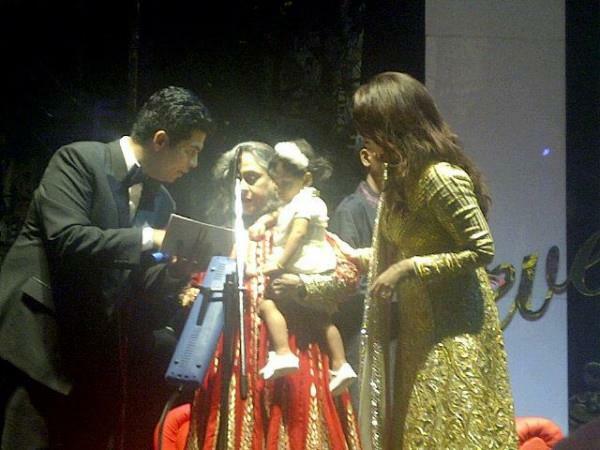 These photos of Aradhya were taken at the award function. 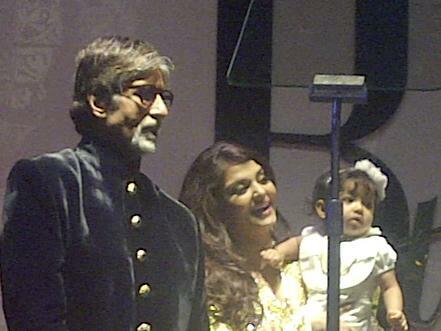 In this picture, Aaradhya Bachchan is 10 months old and she is at the stage of development where she is able to crawl. Great to see that Aiswarya has lost most of the weight she had gained post delivery and she is back to looking her glamorous best. 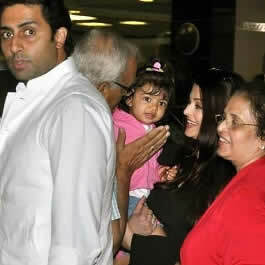 Below are more pictures of Aishwarya, Abhishek with daughter Aradhya. 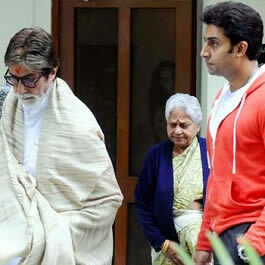 The above pictures are of the Bachchan and Rai families. 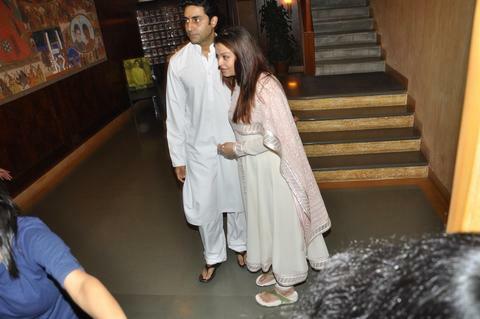 Aishwarya Rai’s elder brother Aditya Rai is an engineer in the Merchant navy. 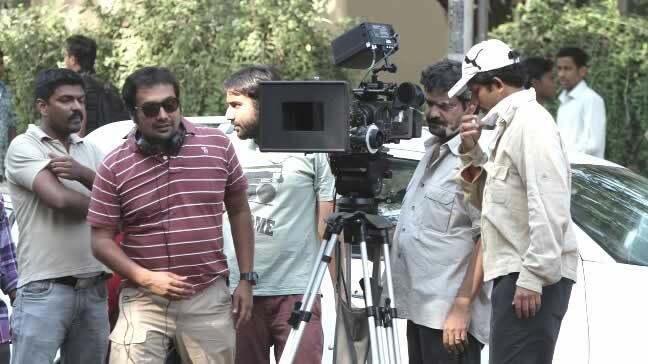 He co-produced the movie, “Dil Ka Rishta”. 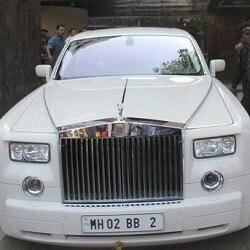 Aditya’s wife and Aiswarya Rai’s sister-in-law, Shrima Rai, was first runner-up at the 2009 Gladrags Mrs India pageant. 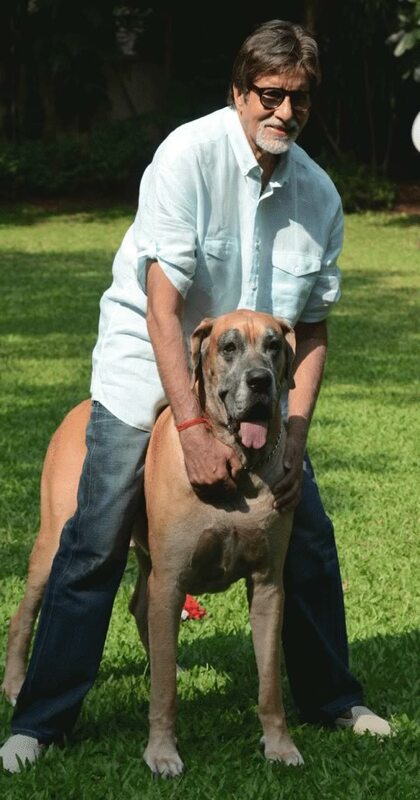 Aishwarya Rai’s father, Krishnaraj Rai, is a marine biologist; he is a cancer survivor. 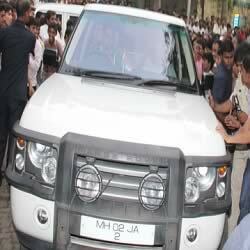 Aishwarya’s mother is Vrinda Rai. 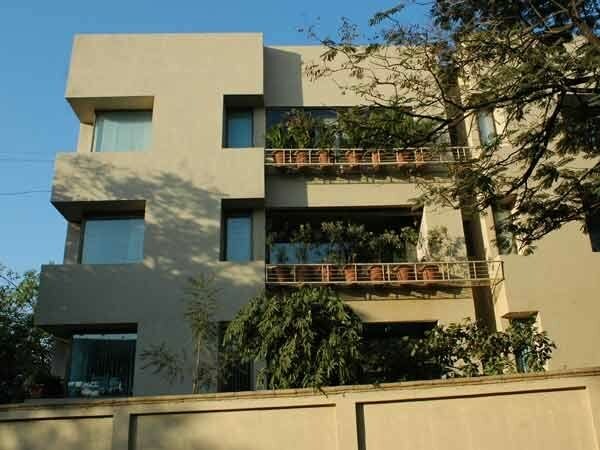 Amitabh Bachchan and family (Aaradhya Bachchan, Jaya, Abhishek, Aishwarya) have five bungalows (Jalsa, Prateeksha, Janak, Vatsa and a bungalow behind Jalsa), within walking distance of each other, at Juhu (JVPD), Mumbai. 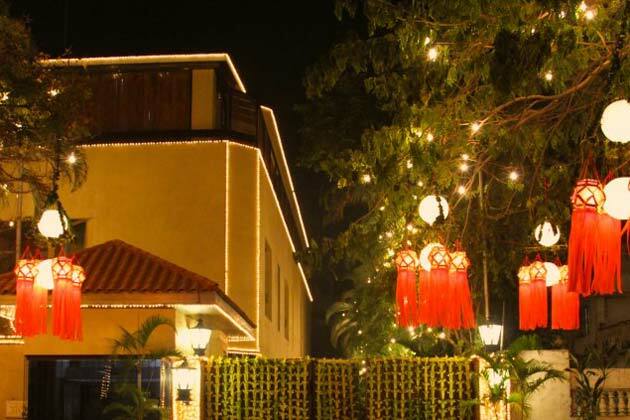 Jalsa: Located opposite Tulip Star Hotel (Juhu), “Jalsa” bungalow is where the Bachan family currently lives. 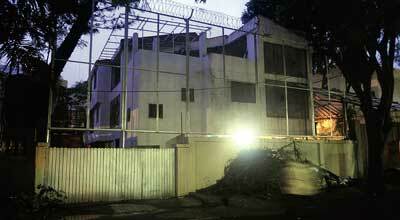 New Bungalow behind Jalsa: In mid-2013, Amitabh and Abhishek Bachchan bought the 8,000 sq ft bungalow behind Jalsa. 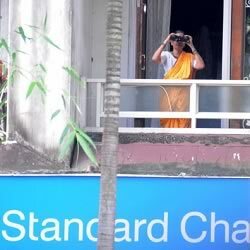 This is their 5th bungalow in Juhu. 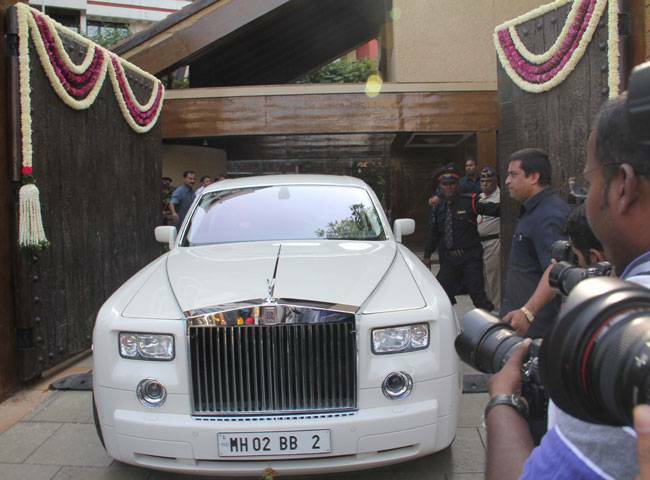 Along with “Jalsa”, this will be an extended residence for the Bachchan family. 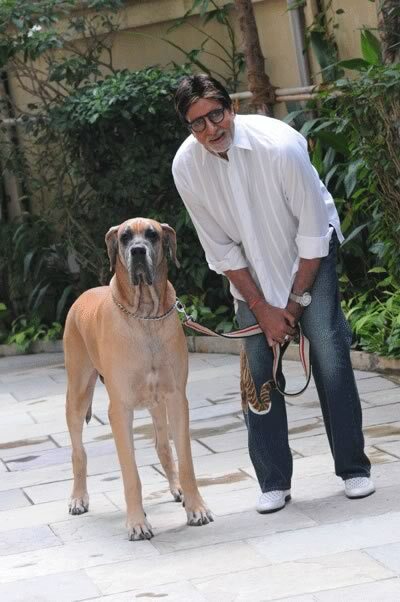 Prateeksha: Is the first bungalow that Amitabh Bachchan bought in Juhu. 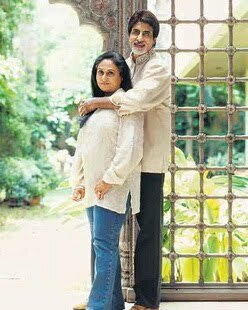 Previously the Bachchan family, including Amitabh’s parents, lived at “Pratiksha”. 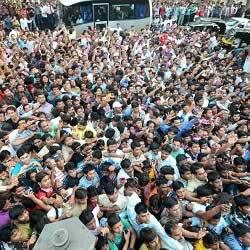 The Metro railway line will pass near Prateeksha and this may be one reason for shifting to “Jalsa”. 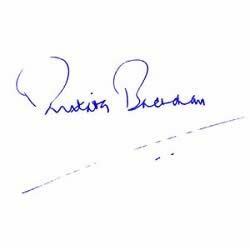 Amitabh Bachchan visits “Prateeksha” regularly to pray at the family temple which was hand built by his father, Dr. Harivansh Rai Bachchan. 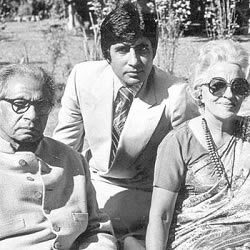 Amitabh has preserved both his father’s (Harivansh Rai Bachchan) and mother’s (Teji Bachchan) rooms just the way it was when they were alive. 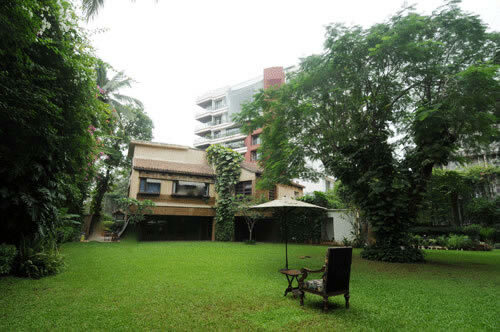 Vatsa: Located in Juhu, this Bachchan bungalow has been leased out to Citibank India. 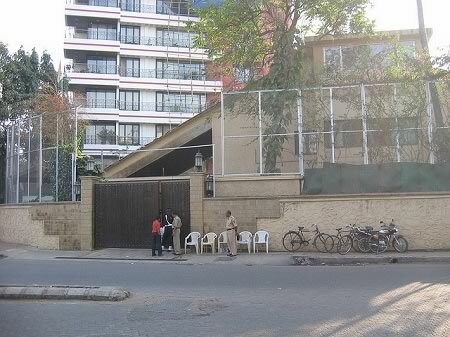 Amitabh Bachchan’s bungalow, “Jalsa“, is a large 10,125 sq ft, two storied house in Juhu, Mumbai. 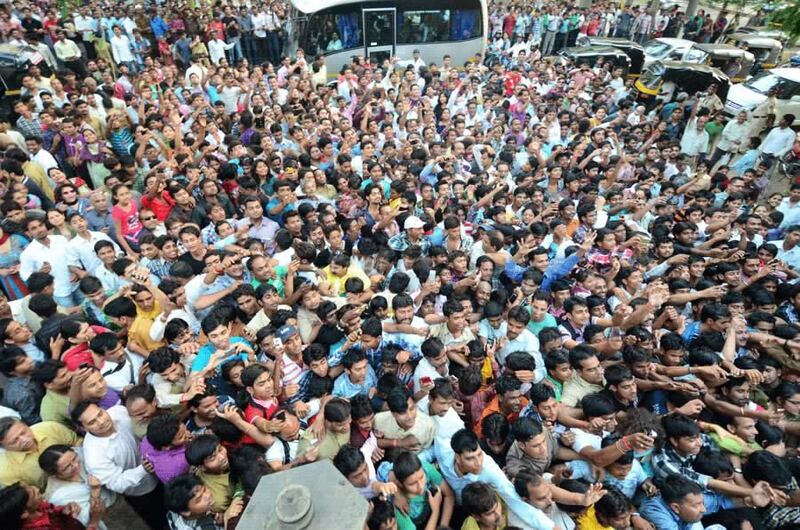 Jalsa is registered in the name of Jaya Bachchan. 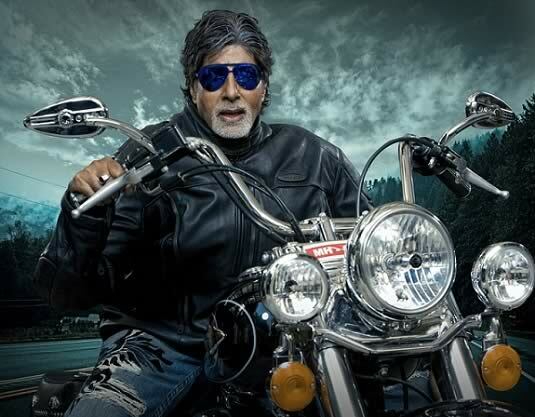 Jalsa was given to Amitabh Bachchan by director Ramesh Sippy as payment for starring in “Satte Pe Satta” (1982). 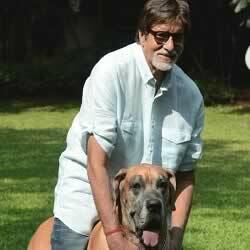 It is reported that due to tax reasons, ownership of Jalsa was in the name of Amitabh’s brother Ajitabh’s wife, Ramola Bachchan. 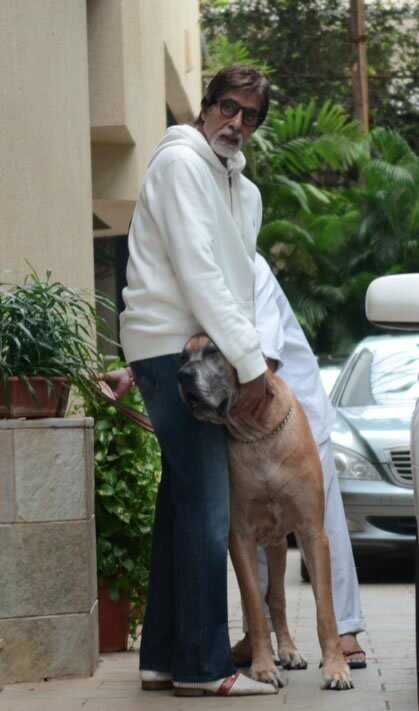 So although the Bachchan’s lived at Jalsa it was in Ramola’s name. 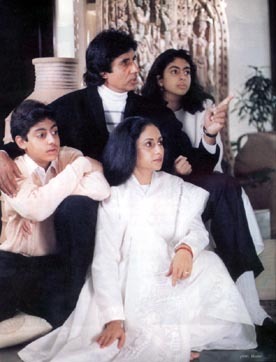 In 1993, Ramola Bachchan gifted Jalsa to Jaya Bachchan via a Gift Deed. 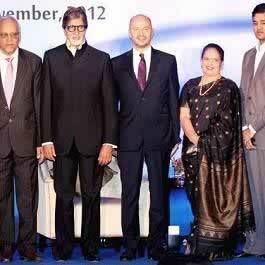 The Bachchan’s delayed registering Jalsa in their name until January 2006. 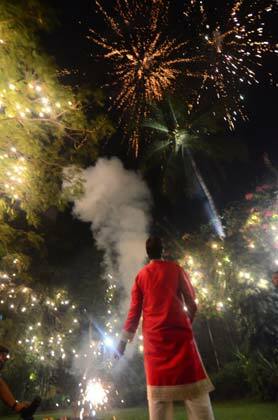 In 2006, Jalsa was finally registered in the name of Jaya Bachchan. 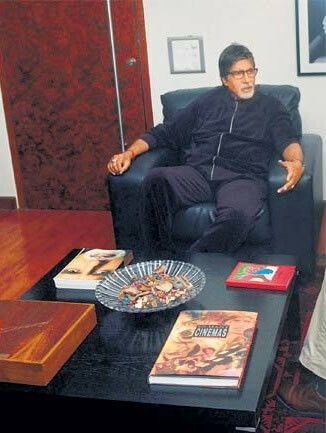 Jalsa has an imposing spiral staircase with pictures of the Bachchans on the wall. 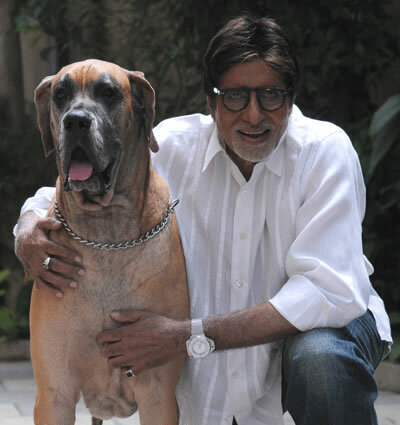 Do you want to meet Amitabh Bachchan? 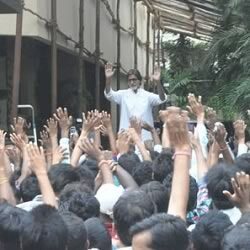 If yes, visit Jalsa on a Sunday evening (around 7:00 pm) and you could meet Amitabh and maybe even Abhishek and Aishwarya. 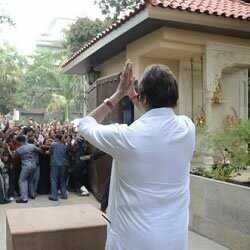 Every Sunday, for the last 30 years, Amitabh Bachchan comes out of his house and greets the many fans who come there to meet him. 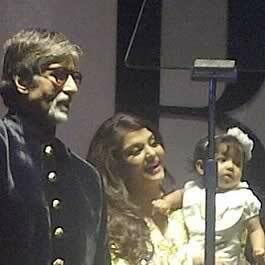 Sometimes Abhishek and Aishwarya Rai Bachchan join Amitabh to meet their fans. 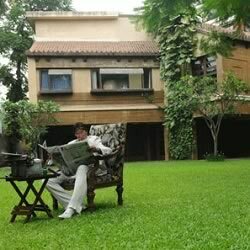 Amitabh Bachchan’s newest house is an 8,000 sq ft bungalow, which is behind “Jalsa”. 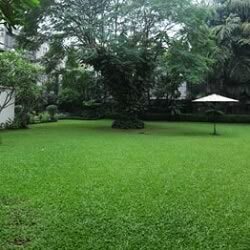 This new bungalow, which is spread over 750 sq yards, has a common wall with Jalsa. 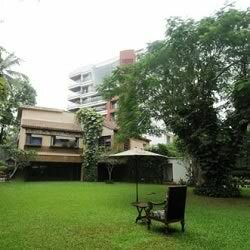 At 8,000 sq ft, this new Bachan bungalow is slightly smaller than the 10,125 sq ft “Jalsa” home. 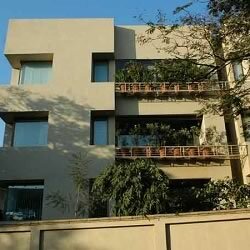 It is reported that Amitabh and Abhishek Bachchan bought this new residence for Rs 50 crore (USD $10 Million) in early 2013. 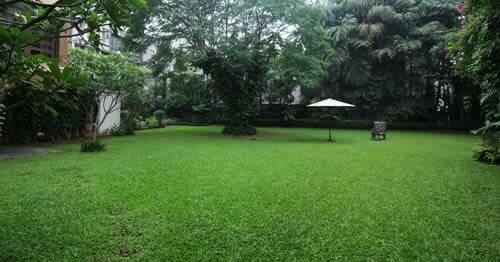 The bungalow is part of Kapole Cooperative Housing Society. 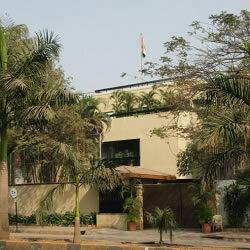 Whereas Jalsa opens onto the main road on Vaikunthlal Mehta Road, the new bungalow opens onto a narrow lane at the back. 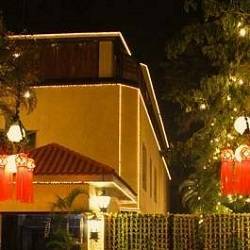 Landmark for this new bungalow is “Jalsa” and “Tulip Star” Hotel at Juhu-Vile Parle Development Scheme (JVPD). 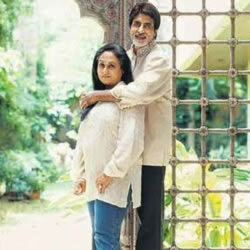 “Prateeksha” was the original bungalow where Amitabh Bachan lived with his parents and family. 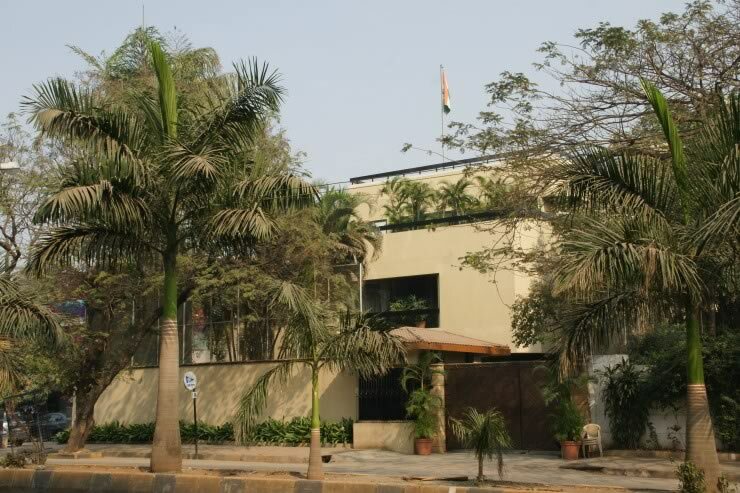 Even after her moved to Jalsa, his parents continued to live at Pratiksha. 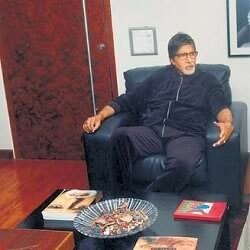 All members of the Bachchan family (Harivansh Rai, Teji, Amitabh, Ajitabh, Shweta, Abhishek, Nilima, Namrata, Naina, Bhim, Aaradhya, Jaya, Ramola, Aishwarya) have spent time at Prateeksha. 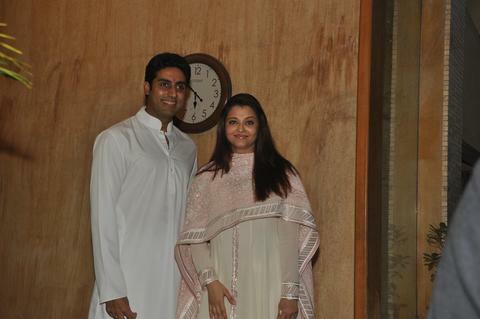 Aishwarya Rai and Abhishek Bachchan were married at Prateeksha in 2007. 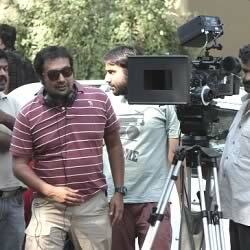 “Bombay Talkies” is a Hindi movie that celebrates 100 years of the Hindi Film Industry, popularly known as Bollywood. 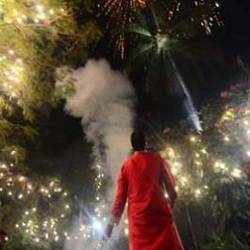 Bombay Talkies is a collection of 4 short films by famous Indian directors Anurag Kashyap (“Murabba“), Dibakar Banerjee (“Star“), Zoya Akhtar (“Sheila Ki Jawaani“) and Karan Johar (“Ajeeb Dastaan Hai Yeh“). 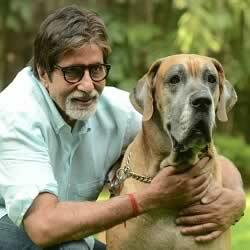 Anurag Kashyap’s “Murabba” is about an Amitabh Bachchan fan (Vineet Kumar) from Allahabad in Uttar Pradesh (Amitabh Bachchan’s birthplace. 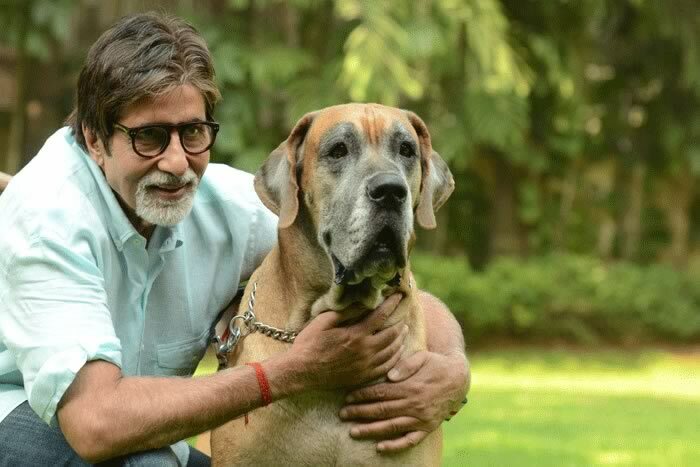 Vineet Kumar’s mother’s dying wish is that her son should feed Amitabh Bachchan “Muraba” (sweet jam or preserve) made by her. 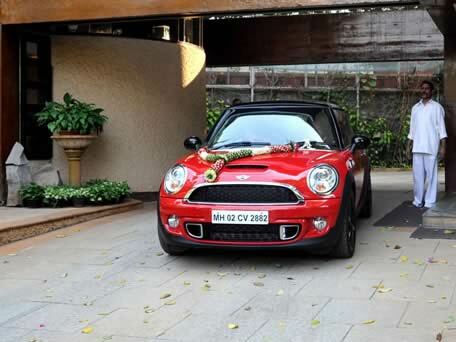 Vineet comes to Amitabh Bachchan’s residence of Pratiksha in the hope of meeting him. 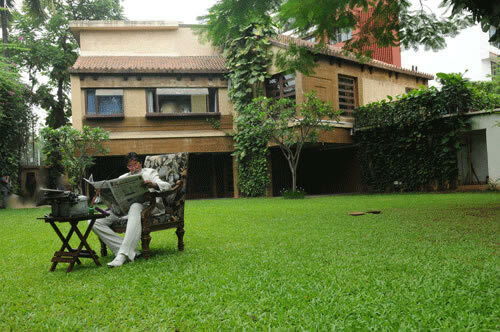 Amitabh Bachchan’s “Prateeksha” bungalow is the main location for this film. 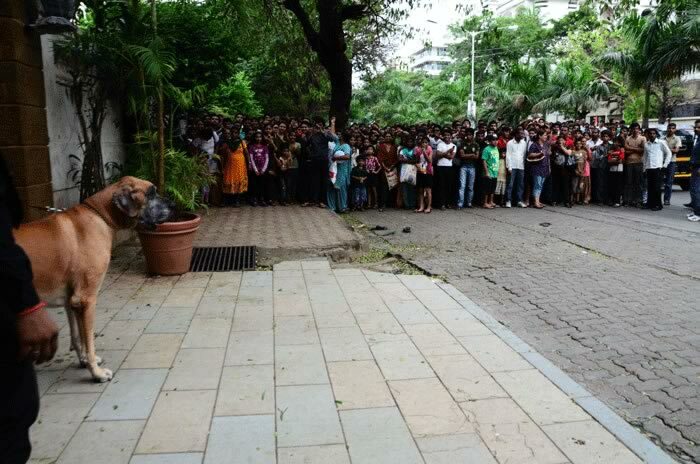 Most parts of director Anurag Kashyap’s section of Bombay Talkies was filmed outside and inside Prateeksha. 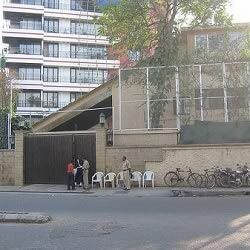 Anurag Kashyup was allowed to film in the driveway and reception area of Pratiksha. 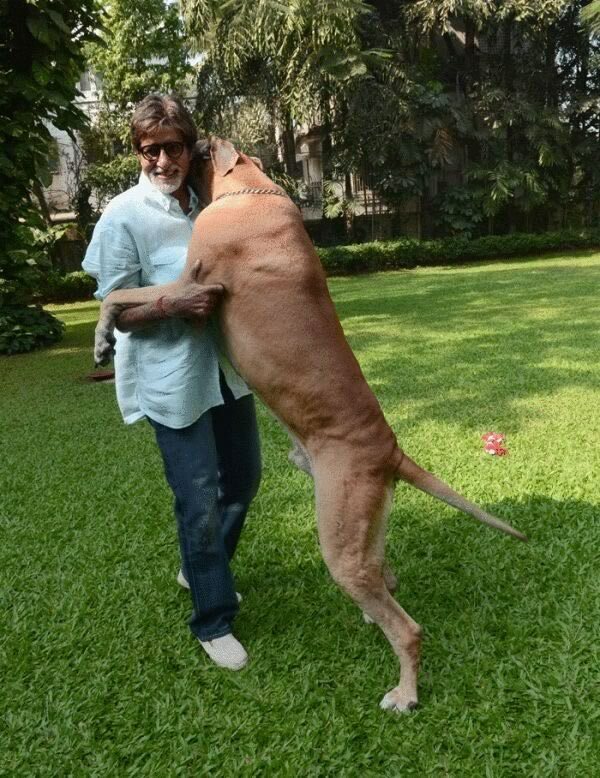 Amitabh Bachchan also stars in Bombay Talkies. 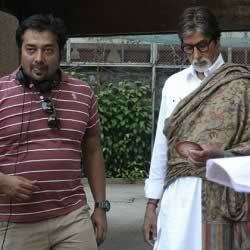 These are pictures of Anurag Kashyap and Amitabh Bachchan filming “Bombay Talkies”. 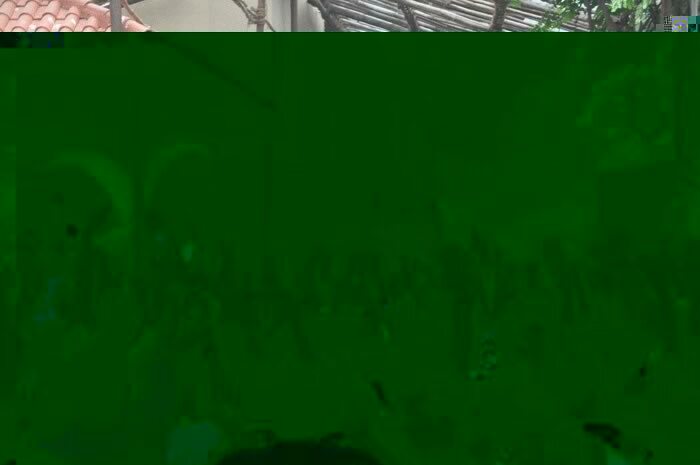 “Janak” is just 50 meters away from Jalsa. 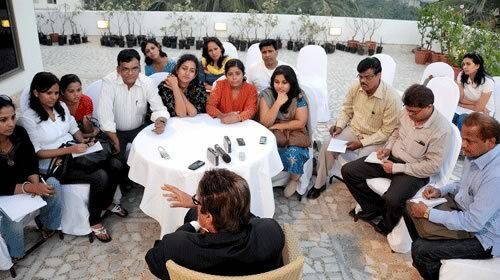 Bought in 2004, “Janak” is the Bachchan office. 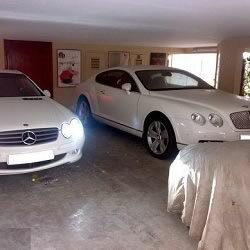 It also has a gym where the family works out. 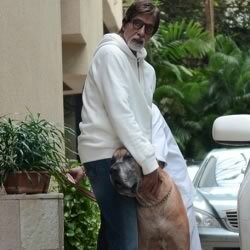 The Bachchans prefer to meet guests at Janak. 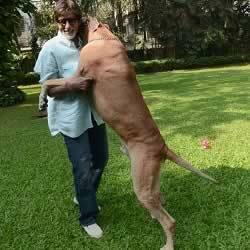 Amitabh Bachchan had a large Piranha Dane dog called “Shanouk“. 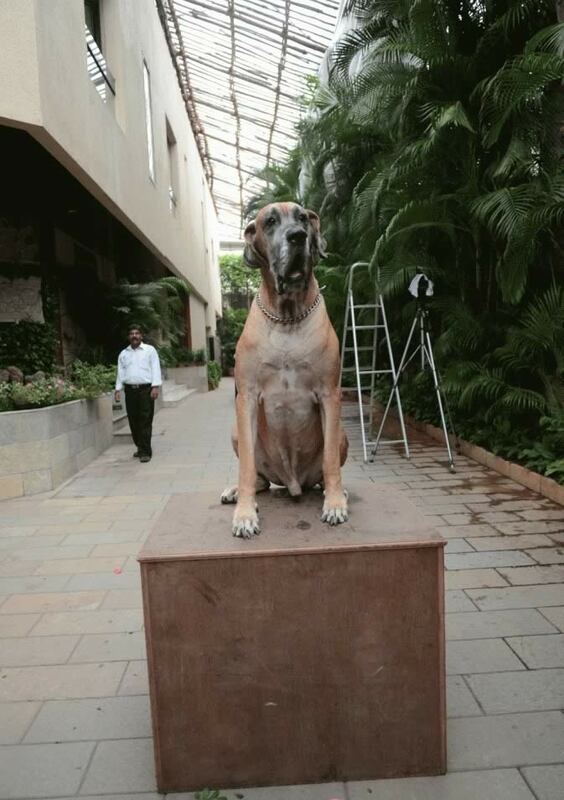 When Shanouk stood on his hind legs he was as tall as 6.2 feet. 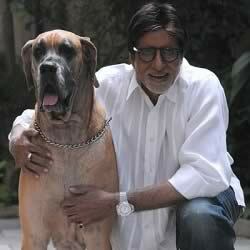 Shanouk was very possessive about Amitabh and got jealous if Amitabh showered his love on anyone else. 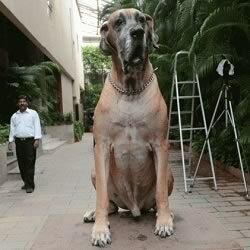 Click here for more pictures of Shanouk, the Bachchan family Piranha Dane Dog. 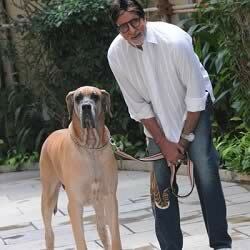 Bachchan’s pet dog, Shanouk, died on 6 June, 2013 of stomach and heart related illness. 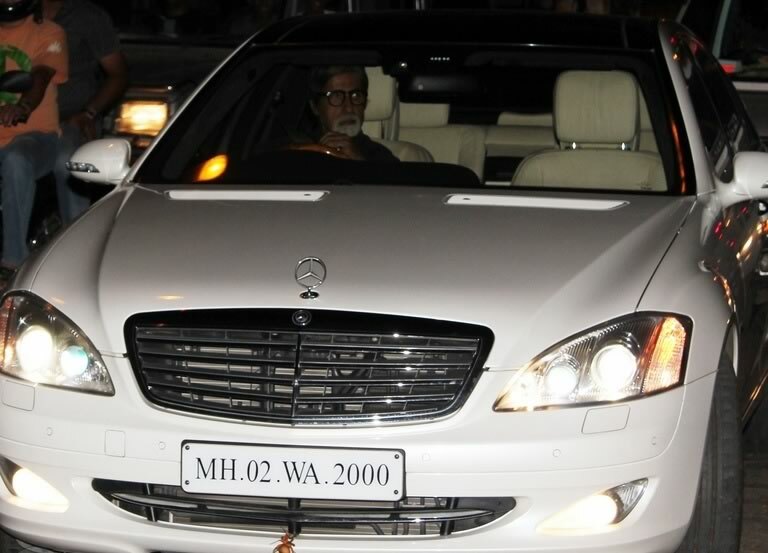 The Bachchan’s have over 10 cars ranging from Rolls Royce Phantom, Bentley Continental GT, Audi A8, Mercedes Benz, Range Rover, BMW, etc. 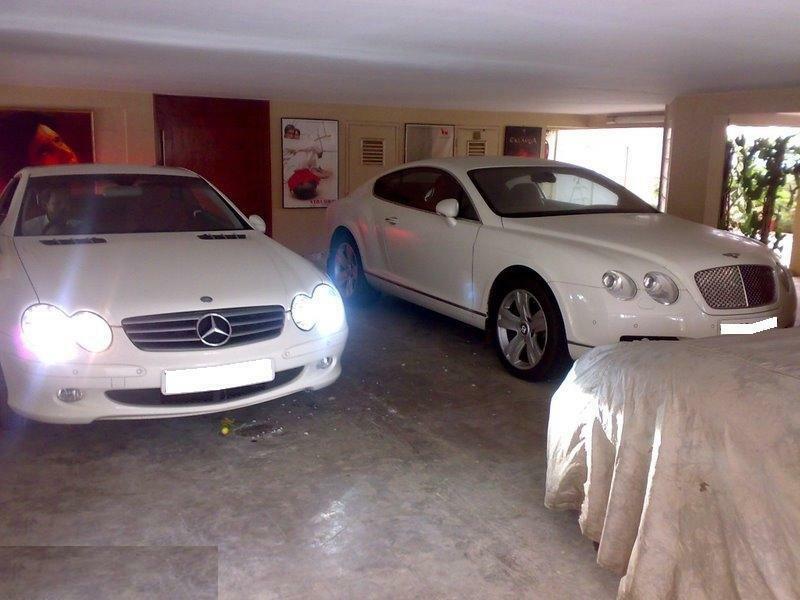 As one enters Jalsa, there is a covered parking space for these cars. 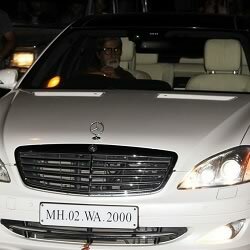 Most Bachchan cars have VIP numbers. 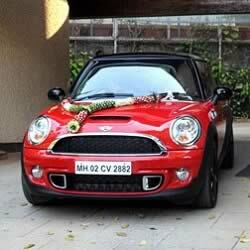 The car number (2882) of Amitabh Bachchan’s Red BMW Mini Cooper is special. 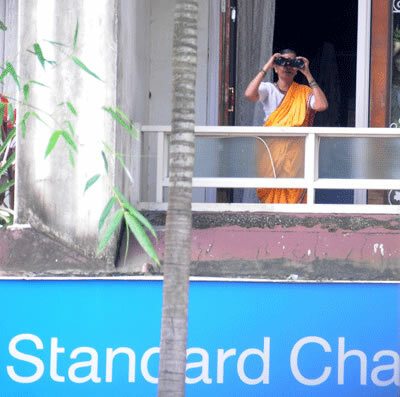 2882 stands for 2nd of August (8th month), 1982. 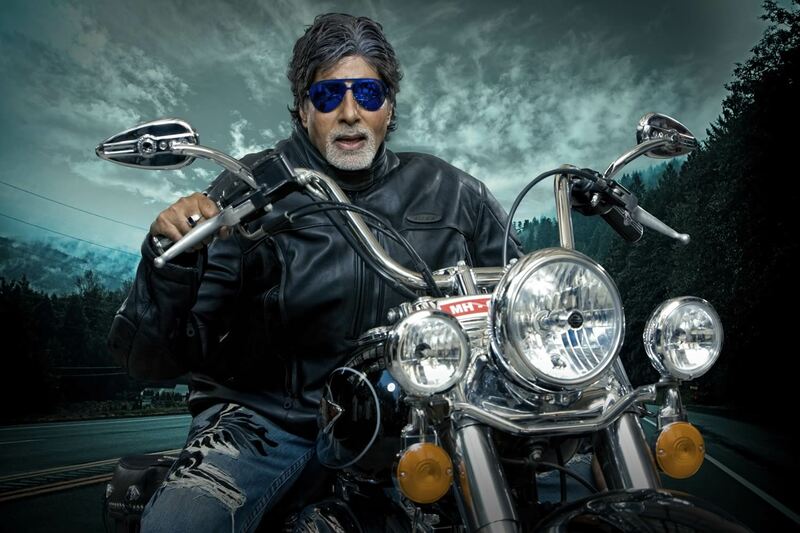 This is the date that Amitabh Bachchan had temporarily died and had been brought back to life by doctors. 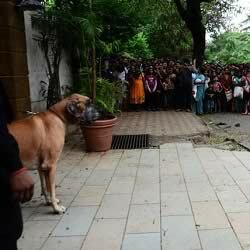 This happened due to the accident on the sets of the movie, “Coolie“.